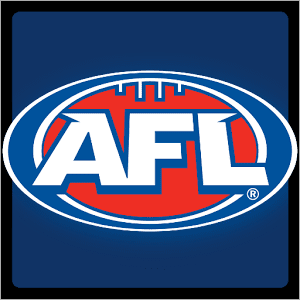 Is there any team in the AFL who can stop the Hawks in 2015? WITH Round 15 done and dusted the top four is starting to solidify, yet we are still no closer to knowing who will be making up the rest of the top eight. Collingwood and Adelaide continue to slide down, the Bulldogs and the Giants recorded important wins and the Kangaroos are finally starting to make a legitimate push for the final spots inside the eight. How did the betting shape up in Round 15? Round 15 began on Thursday night with a pulsating contest between the Power and the Pies that ended up going down to the wire, with Port prevailing by three points. Port Adelaide skipped out to a huge lead in the opening quarter, and kept its opponents at arm’s length for the majority of the contest, but a fourth quarter surge by the Pies kept the game in the balance right up until the final siren. Livewire forward Jamie Elliot had a chance to mark the ball at the top of the 50 with less than a second remaining on the clock but was unable to complete the tough opportunity he had. The loss sees Collingwood slide down towards the bottom half of the top eight with serious question marks over whether their spot is assured heading into September. The Pies have lost three matches on the trot, and are currently $2.90 with Sportsbet to finish the season outside of finals contention. The win reignites the small flicking flame of finals football for Port Adelaide, with the Power sitting two games and percentage outside the top eight. 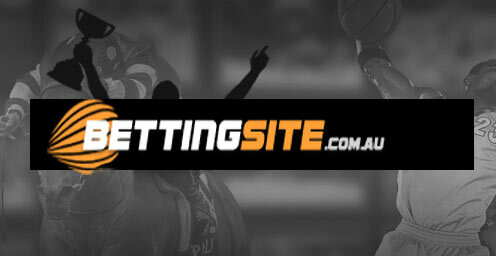 Sportsbet have the Power as $3.95 outsiders to force their way back into finals contention. Saturday afternoon in Cairns saw the Bulldogs pull off a miraculous come-from-behind victory over the Suns, with the Western Bulldogs taking the win home with a 22-point victory. The Dogs trailed the Suns from the outset and looked like the mastery of Gary Ablett junior would see the Suns record back-to-back wins for the first time this season. It was the Bulldogs who would find the extra something to produce the win late in the match, with the Dogs kicking an incredible 10 goals in the final term, overcoming a 37-point third quarter deficit. It was the win the Dogs needed to keep their finals hopes alive. Currently they sit inside the top six, and are $1.68 favourites with WilliamHill.com.au to retain their finials position come the end of the season. The loss leaves the Gold Coast down towards the bottom of the ladder, with Sportsbet offering an enticing $3 for the Suns to finish 2015 with the least amount of wins. It was a do-or-die clash on Saturday night at Etihad Stadium, with North Melbourne hosting the Cats. With the chance of an unlikely finals berth hinging on the outcome, it was North Melbourne who stood up when it mattered, battering the Cats from the outset to run out 41 point winners. The Cats found it hard to get their game going after a long layoff due to the unfortunate circumstances surrounding their cancelled match against Adelaide, which left Chris Scott’s men almost three weeks removed from playing a competitive AFL match. The game was close throughout the first quarter, but it was the Roos who were able to seize momentum and blow the Cats off the park. The win places the Roos right back into the finals race, with Crownbet’s $1.40 quote for North to finish inside the top eight the best of any team outside the eight. The lacklustre performance from the Cats all but rules out their September ambitions, with William Hill’s offer of $3.00 for Geelong to feature in the finals this season highlighting just how unlikely a late push for September action is for Chris Scott’s team. Sunday afternoon saw what many believe to be an early Grand Final preview, with the Hawks hosting the Dockers down in Tasmania. Fremantle were blown off the park early in the game and never recovered, with Hawthorn showing why they are premiership favourites in 2015 with a resounding 72 point victory. The Hawks have come in even further with the bookmakers to complete the three-peat, with Crownbet installing the reigning premiers as $2.75 favourites to win the 2015 flag – the shortest any team has been this year. Despite still sitting atop the AFL ladder, the defeat has battered punters’ confidence in the Dockers, with Sportsbet slipping Fremantle to third favourite for the flag, at $4.50. Even with a quieter game from Nat Fyfe, the superstar Docker is still the overwhelming favourite to take home the Brownlow medal at $1.50 with Sportsbet. There is a risk going with Fyfe, as one more guilty tribunal verdict, even if it is a mere fine will cost the Docker a week of football and make him ineligible for the prestigious medal. A rough weekend of football for the Carlton football club, with the loss to Richmond compounded by injuries to star on-baller Bryce Gibbs and utility Dennis Armfield. Gibbs is set to miss the remainder of the season after sustaining a pectoral injury that will require surgery. The reigning Carlton best and fairest winner will not play again this season but will be ready to go at the start of pre-season training. Dennis Armfield suffered a broken arm in the loss to Richmond, and will miss the next month of football after having a steel plate inserted into his arm. Star GWS midfielder Dylan Shiel’s season is potentially over with the strongly built on-baller requiring surgery on his right knee, which was injured in Sunday’s victory over the Saints. Shiel will miss at least 12 weeks of football and will be in a race against time to be fit at the end of the season. Emerging Suns’ forward Charlie Dixon will miss at least a week of football after being substituted out of the game during Saturday’s loss to the Western Bulldogs. The injury is different to the ankle injury that sidelined the big Sun for an extended period, but he is still expected to miss at least a week.